Have you ever had one of those projects that you pinned a million years ago and have never gotten around to? Yeah, me too, about four hundred times! 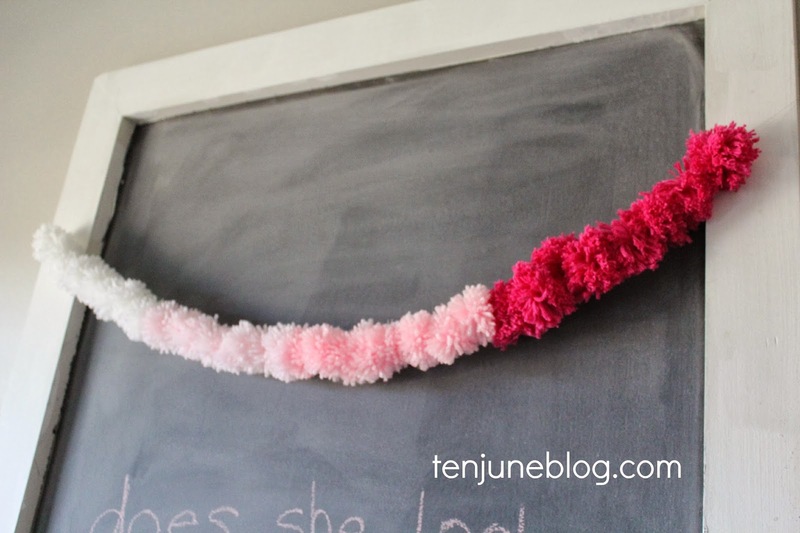 Recently, I tackled one of those infamous projects: a do-it-yourself yarn pom pom garland. I've adored these sweet little garlands for awhile and decided to create one for Little Lady June's nursery. And of course, share a tutorial with all of you! 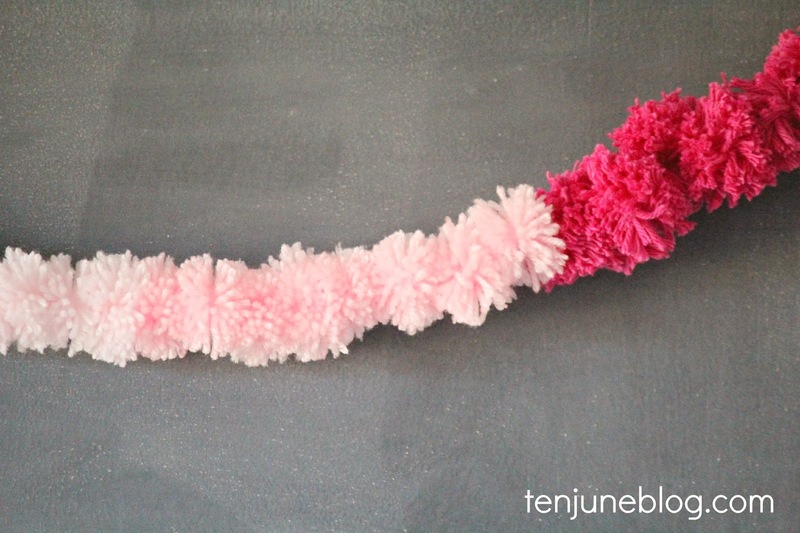 You could easily create a pom pom garland for home decor, party decor or any holiday specific celebration. Do I see a green ombre version in the near St. Patrick's Day future?! All you need for this project is yarn, scissors and clear fishing line. Step one. 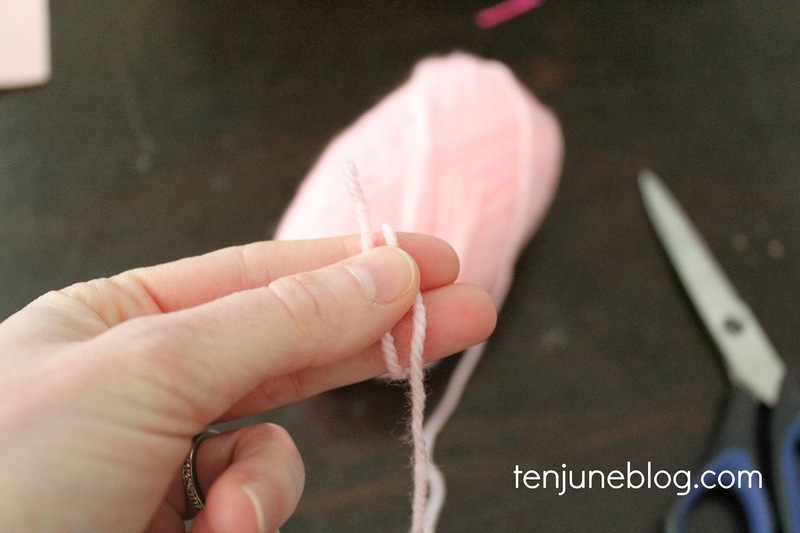 Wrap the yarn around two finger widths. Now wrap the string around your fingers about forty times. Step two. 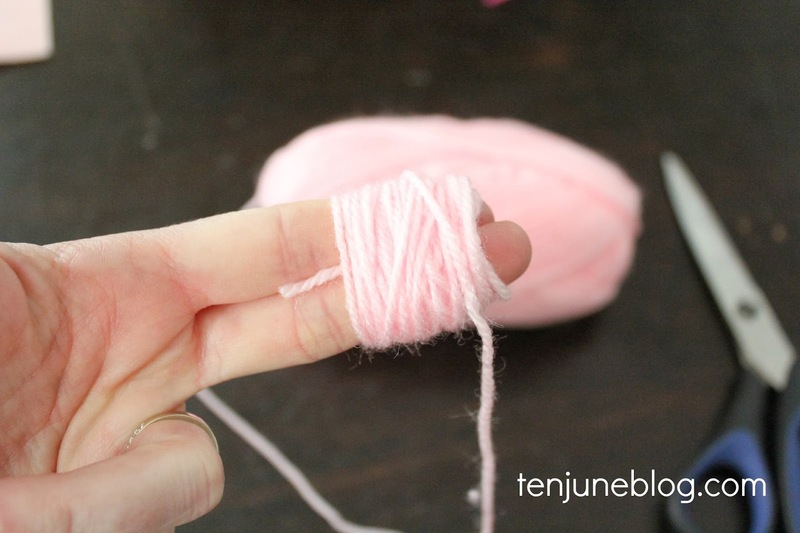 Gently slide the yarn ball off of your fingers and tie in the middle. Make sure you plan ahead and leave a few inches of string unwrapped on either side of the ball. 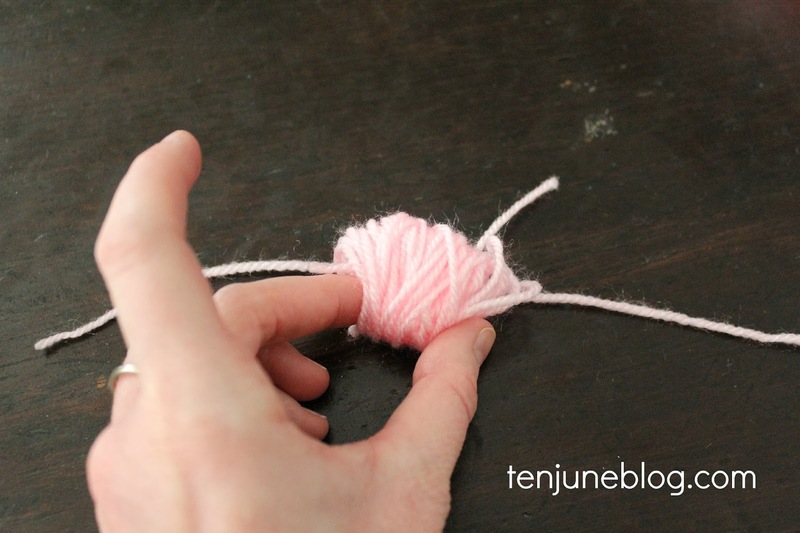 You can use this excess yarn to tie the ball in the middle. Tie a knot in the middle of the ball. Step three. 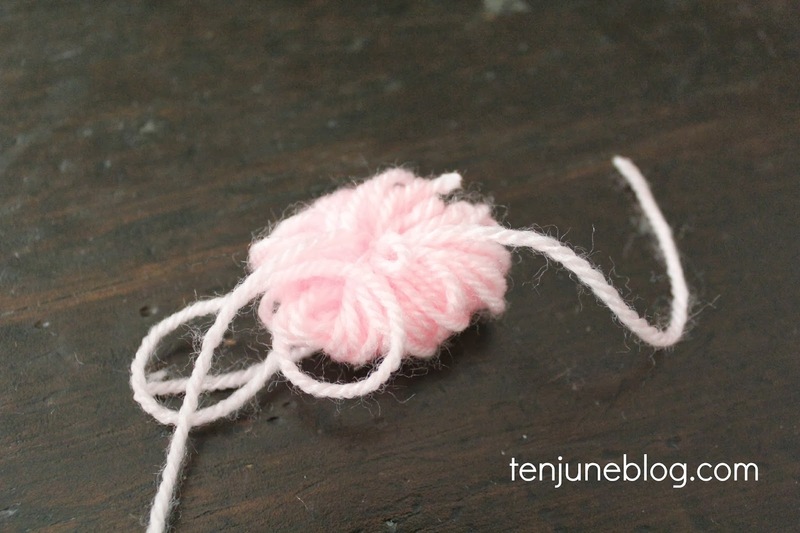 Cut the loops on the yarn ball. After you break each loop by cutting them, feel free to trim the strings for a tighter pom pom. Or keep them long and straggly for a looser pom pom! I went with the neater, tighter version. Step four. 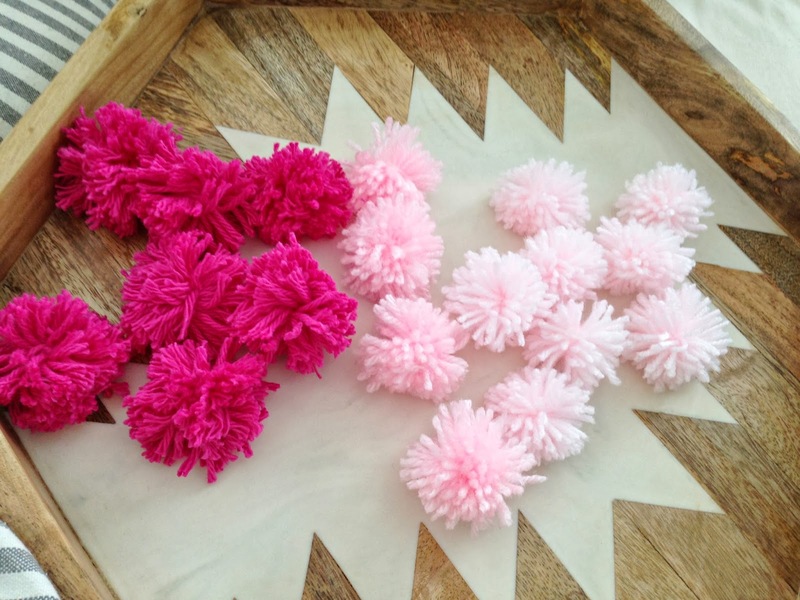 String the pom poms with clear fishing wire. 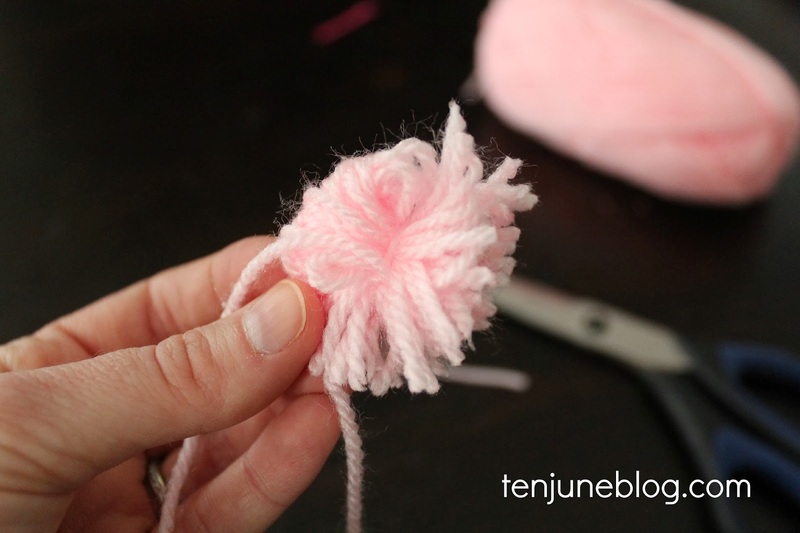 You could probably also use a thick thread or maybe another type of yarn to string each pom pom along. And voila! 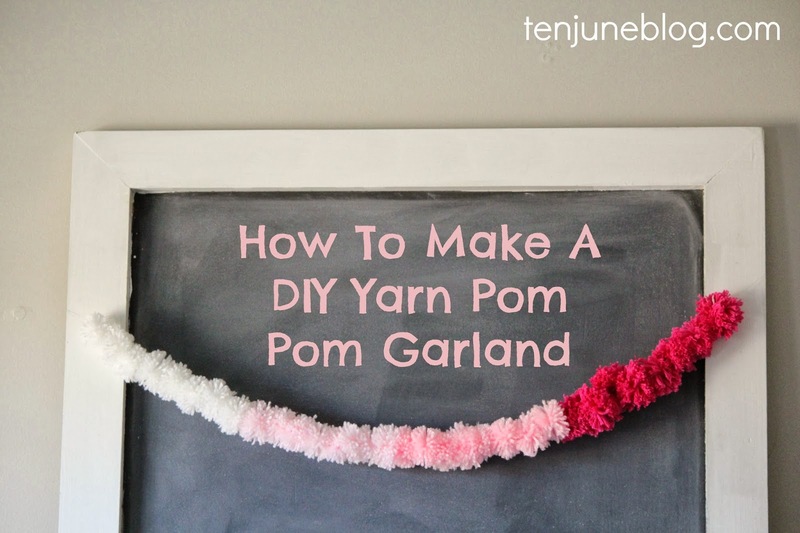 You've got a yarn pom pom garland! I love how my little project turned out and I can't wait to show you the garland hanging in our sweet girl's nursery. Have you ever made a yarn pom pom garland? Any tips or tricks to share?! love it! love he ombre! That is so precious! Would be so fun for my classroom, too -- thanks for sharing, Michelle!